Remote transactions need to be authorized. Identity needs to be extended into the digital world and protected against being compromised. Centralizing the proof-of-identity is vulnerable, credentials are massively stolen every day. Useable passwords provide only inadequate security, good passwords are impractical. In general passwords are vulnerable to phishing and other attacks. Serious anti-spoofing as provided by secure PIN-Pads is expensive and difficult to deploy. Proof-of-identity is performed by your own device. 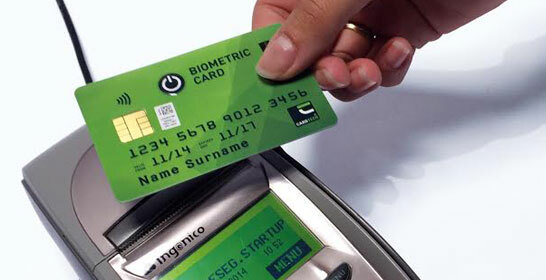 The built-in embedded secure element creates the first time a unique credential combined with the biometric record from your finger. Only your own device is able to proof your identity whenever required; it generates a fresh biometric record from your finger and matches it with the fingerprint credentials in the embedded secure element. the decision is secured by the best what Crypto-Technology can do for you. incremental cost is surprisingly low and added security is premium. We help you to integrate ikendi fingerprint technology into your devices.